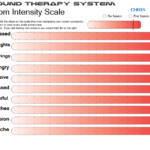 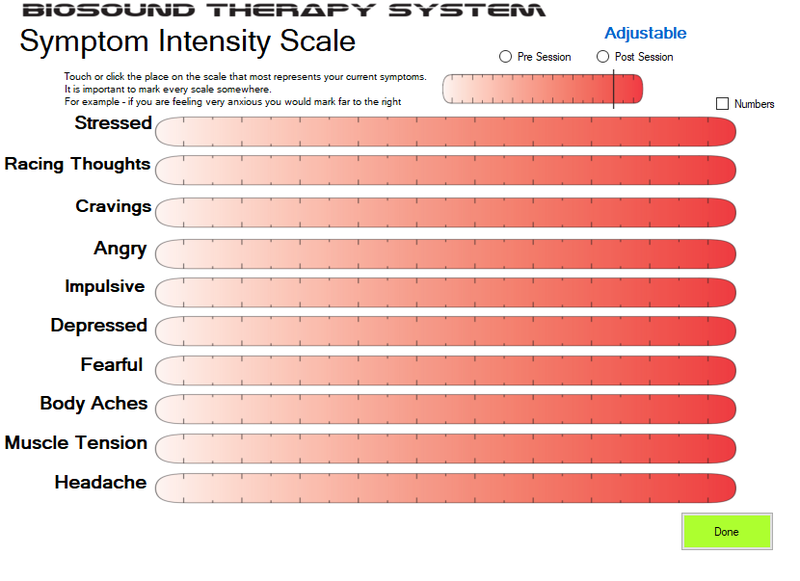 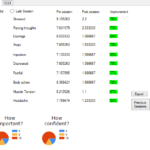 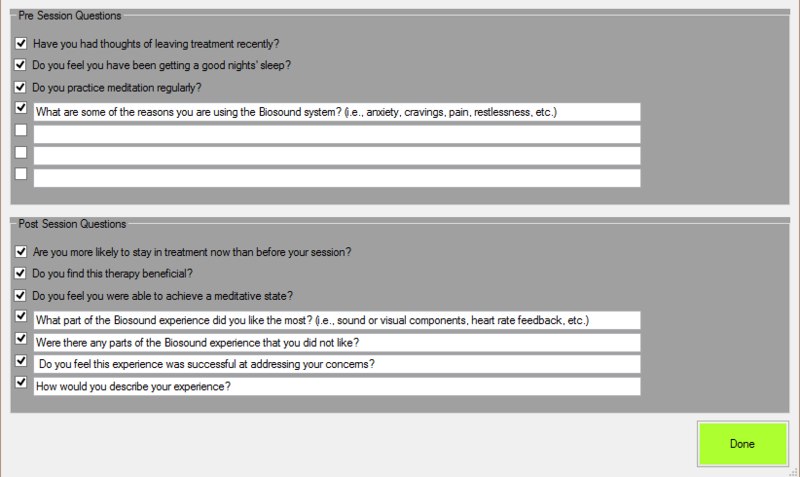 Biosound’s proprietary outcome data analyzer program records and stores the client self-assessments, pre and post session. 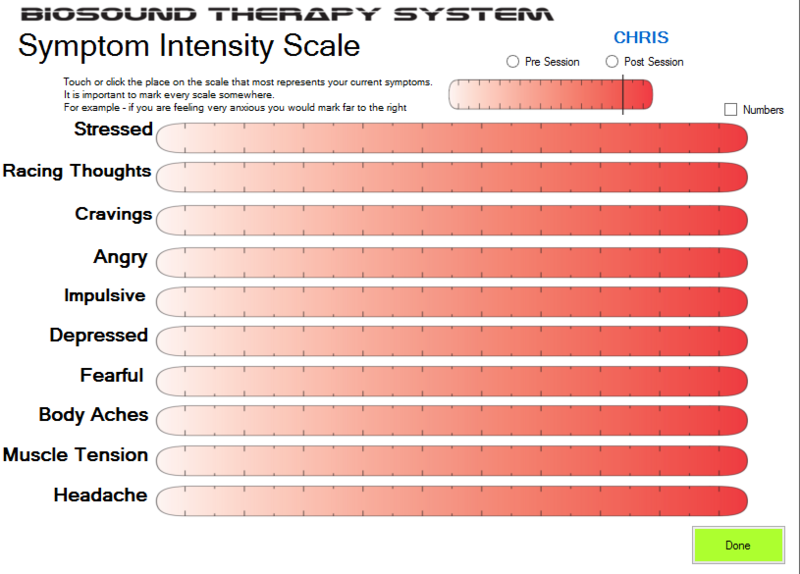 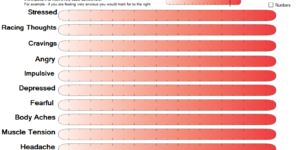 The program captures the client’s intensity levels relative to the ten symptoms shown above and stores them in their file, which may be accessed on the cloud-based platform provided with the program. 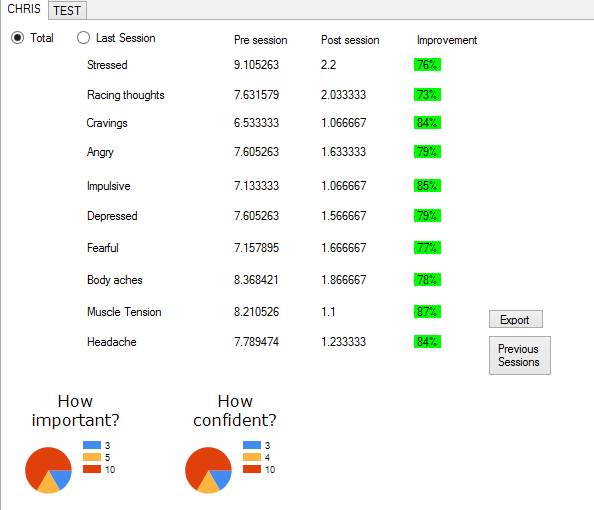 The program will correlate the percentage of improvement from pre to post session and collect age and gender data. 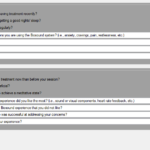 The data may be exported to excel for documentation of the client’s symptom improvement throughout treatment and to quantify outcomes for research, marketing or other purposes.